“Can you build muscle and lose fat at the same time?” was the question of the day on the recent survey. Overweight men put on a 14-week program of resistance training and endurance training while only training 3 days per week achieved incredible results. Study #2 – Women CAN do it too! By the end, the subjects gained an average of four pounds of lean mass and lost over four pounds of fat. This study show’s it is possible to gain muscle and lose at the same time – at any age. References: Med Sci Sports Exerc. Body Composition and Strength Changes in Women with Milk and Resistance Exercise. Josse AR, Tang JE, Tarnopolsky MA, Phillips SM. Am J Clin Nutr. 2007 85(4):1005-13. Resistance training and dietary protein: effects on glucose tolerance and contents of skeletal muscle insulin signaling proteins in older persons. Iglay HB, Thyfault JP, Apolzan JW, Campbell WW. You didn’t really read all of the reference stuff did you? Good, me neither. That stuff is boring, but it’s good to know there’s a reputable source. 1. Stop doing intervals and use anabolic finishers instead. This will allow you to keep the fat at bay while putting on lean muscle (and even burn fat and build muscle simultaneously). 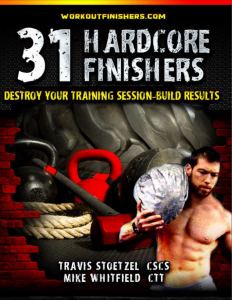 Keep your finishers to no more than 3 times a week. 2. Add 200 calories to your post-workout meal (thanks CB for this one). Bonus tip – make it liquid calories so your muscles can gobble up the excess calories quicker. You don’t need a fancy protein powder either – go for low-fat chocolate milk. Hip-hip hooray for inexpensive muscle-building calories. 3. If you don’t see a difference in your muscle-gaining efforts after 2-3 weeks, simply add another 200 calories to your daily intake. 4. Keep your cardio to very little – however, a brisk walk 2-3 times a week can help with recovery. But remember – a brisk walk with lower intensity. Save the hard effort for your meathead workouts. 5. Use high intensity resistance training no more than 4 times a week. That’s right. You don’t have to work out 7 days a week to gain muscle and lose fat at the same time. So, as you can see, it’s not THAT complicated to lose fat and gain muscle simultaneously. The theme of the day – hit your muscles HARD, but using strategic recovery periods, like found in meathead style workouts using TT principles. You don’t have to live in the gym. And you don’t have to invest a ton of money, either. I asked Craig for a favor and he over-delivered. P.S. Use THESE workouts and lift only 3-4 times a week to gain muscle and lose fat at the same time, while following the 5 tips above. This is your blueprint. I’m still learning from you, while I’m trying to achieve my goals. I certainly liked reading all that is written on your website.Keep the posts coming. I enjoyed it!